Photo 102. 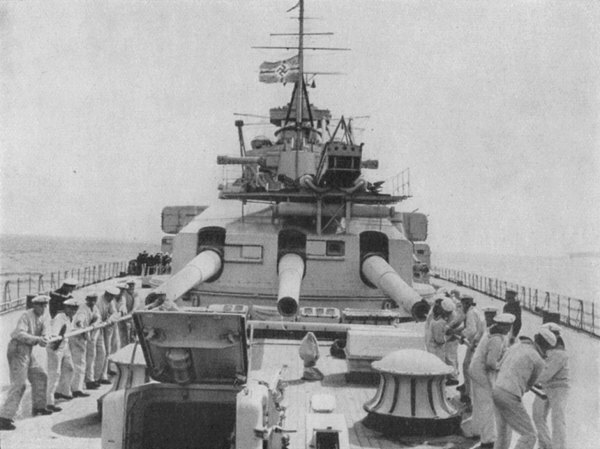 The Battleship Gneisenau. The battleship Gneisenau. Cleaning of gun barrels of "Cäsar" turret on the Gneisenau. An aircraft catapult can be seen on top of the turret. This photo was most likely taken during the summer of 1939.